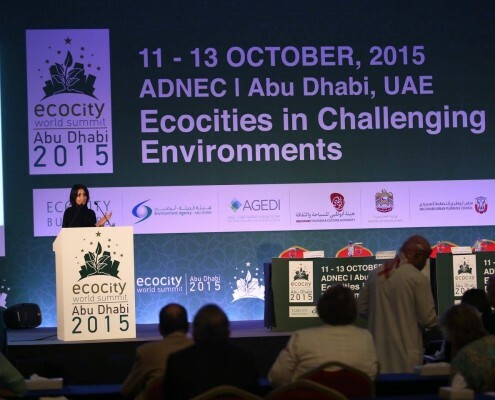 The next Ecocity World Summit (ECWS), to be hosted in the Middle East for the very first time, has called on the wider community to submit abstracts for papers or presentations at the summit, set to be held in Abu Dhabi from 11 to 13 October 2015. Authors are invited to advance the state of thinking and inspire the next generation of ideas, projects and strategies for eco and smart cities of the future. 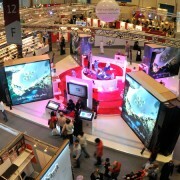 If selected, authors will be given the unique opportunity to present their work to a top-calibre audience of local and international governmental, academic, private-sector leaders and eco-experts. The deadline for abstract submissions is 15 April 2015. Visit the ECWS page for more information. Over 900 exhibitors from 54 countries welcomed Sheikh Sultan bin Tahnoun al Nahyan, Chairman of Abu Dhabi Tourism and Culture Authority, to the 22nd Abu Dhabi International Book Fair (ADIBF) on Wednesday morning at Abu Dhabi National Exhibitions Centre (ADNEC).